We've all likely pondered at some point which came first: The Chicken Or The Egg? That lead me to thinking about which comes first: Marketing Or Selling? It's true that they go hand in hand and cross over because one could argue that marketing is also selling. However, I am referring to selling as "Closing The Sale" and one cannot close if there are no leads coming in. 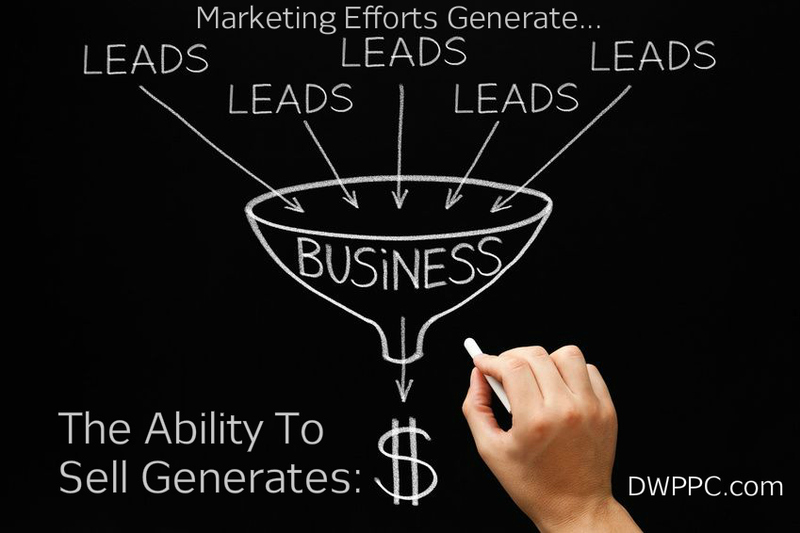 The sales funnel must keep flowing with leads because no one will close 100% of the leads that are generated for their photography business. Marketing is something that has to be a part of your photography DNA. Good marketing is not the same as hard selling. Good marketing does not turn people away like hard selling will likely do. To me, marketing is anything you do in your photography business to get the word out about your business like advertising, social media, blogging, business networking, etc. But getting the word out does not mean that you have to say CALL ME NOW every time you post something online. Yes, a CALL TO ACTION is important, but you don't have to do that with 100% of your marketing efforts. You can gain interest without over selling what you do. This blog post doesn't have a call to action for you to do business with me. That's not the purpose of this post. But the post is part of my business marketing efforts of providing content that will add value after reading it. It's game on once the lead becomes a prospect which means the lead has made contact or asked for someone to contact them through a referral source, company representative, etc. Game on doesn't mean to brow beat someone into doing business. It simply means that it's time to go to the next level of the process and "Close The Sale" provided it's a good fit for both parties. Remember, telling is not selling. Asking questions is a better alternative: What can I help you with? Do you have any questions for me? How does that sound to you? Does that fit your budget? Would you like me to put something in writing? Are you ready to schedule? What is your timeline on this project? Etc. Etc. Etc. Grant Cardone is a little over the top for me; however, there are some good things to gain from his books, audio books, videos, etc. If you have never heard of Grant Cardone, look him up on Amazon. You can also find Grant Cardone on YouTube and he has Grant Cardone Sales University. If you are in the Raleigh, NC area, you can look into hiring a sales coach like Elyse Archer below. I simply took a snipet from her website. You can click the image below to visit her website. Although I took the photo of Elyse below, this link to her website is not an affiliate link for me to generate revenue off of. Photography Is 10% Shooting And 90% Marketing / Strategy Or Is It?